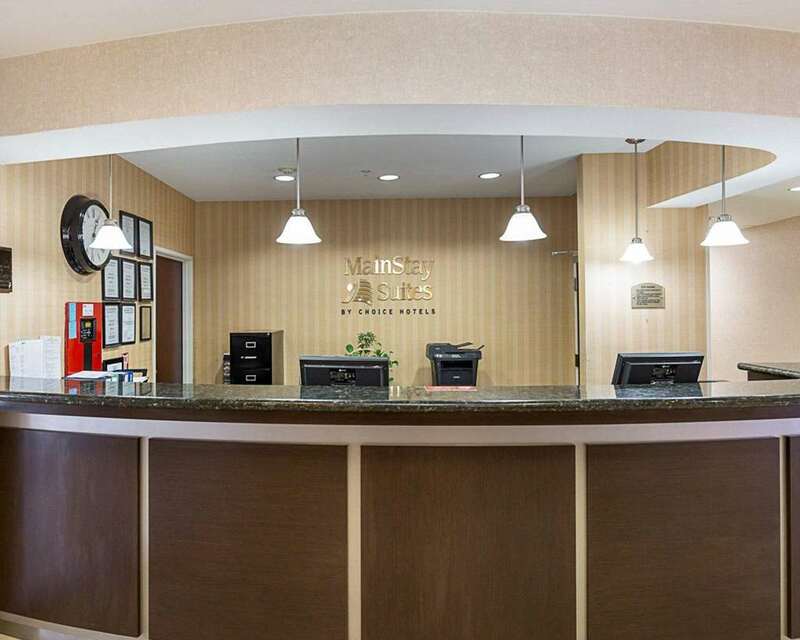 Enjoy a longer stay away from home at our Mainstay Suites Texas Medical Center/Reliant Park hotel in Houston, TX near Texas Medical Center. Our hotel is near George R. Brown Convention Center, the Houston Museum of Natural Science and Museum of Fine Arts. Enjoy amenities like free breakfast, free WiFi, a fitness center, an outdoor heated pool and more. Rooms include kitchen facilities, a flat-screen TV, hair dryer, iron and ironing board. Also, earn rewards including free nights and gift cards with our Choice Privileges Rewards program. Shuttle service to Texas Medical Center and 3 mile radius including Lakewood church. Monday - Friday 7:00 am - 9:00 pm and Saturday & Sunday 9:00 am - 5:00 pm. Airport shuttle to/from William P. Hobby airport available for nominal fee. Shuttle hours are 7:00 am - 9:00 pm, weekdays. From 9 am. - 3 pm on weekends. Shuttle runs every two hours. Cash paying guests are required to post a 150.00USD deposit at check-in.